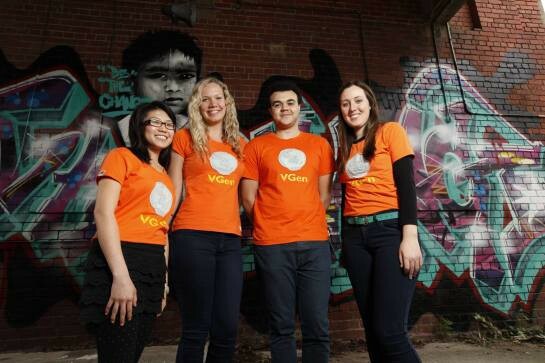 A while back LOKE was lucky enough to be approached by World Vision Australia’s youth movement; known as VGen. The VGen team wanted to do a photoshoot at our Melbourne studio located at The Richmond Malt as part of their broader Be The Change recruitment and engagement advocacy campaigns that they have collaborated on with the LOKE product and strategy team. Huge thanks to street artist Paulie Clyne, who so generously donated the skills required to paint our studio wall. — what a legend. It is always an amazing experience working with young people with so much passion and belief in what they are doing. Keep up the great work VGen, we can change the world.